Mr. Lake is admitted to the Eleventh Circuit Court of Appeals, all United States District Courts in Georgia, as well as Georgia State courts. 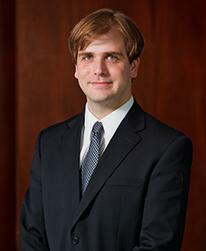 Anthony Lake has been a member of Gillen Withers & Lake since 2001. Mr. Lake’s practice focuses on criminal law and civil litigation in both federal and state courts. Mr. Lake has been responsible for much of the firm’s motion and brief practice over the years, and his expert written arguments have been directly responsible for obtaining victorious results for clients before, during and after trial on numerous occasions. With Thomas Withers, Mr. Lake is a co-author of the Federal Criminal Defense Blog, with a special focus on developments in corporate and white collar criminal law and high profile cases. He has also lectured on federal sentencing issues.